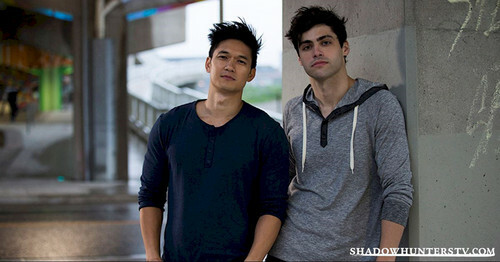 Malec. . HD Wallpaper and background images in the Shadowhunters TV 表示する club tagged: photo tv series cast shadowhunters malec matthew daddario alec lightwood magnus bane harry shum jr..
キーワード: tv series, cast, shadowhunters, malec, matthew daddario, alec lightwood, magnus bane, harry shum jr. This Shadowhunters TV 表示する wallpaper might contain 通り, 都市現場, 都市環境, ストリート, 都市, 都市設定, 都市のシーン設定, スーツ, ビジネス スーツ, 身なりの人, スーツ, パンツスーツ, よく服を着た人, and パンツ スーツ.